We know about the raths in Moira and the district but did you know there are two other evidences of early life here? One has now all but disappeared while the other is very visible but seldom recognised for what it is. The crannog was a very early dwelling sometimes built on stilts in a lake or bog. 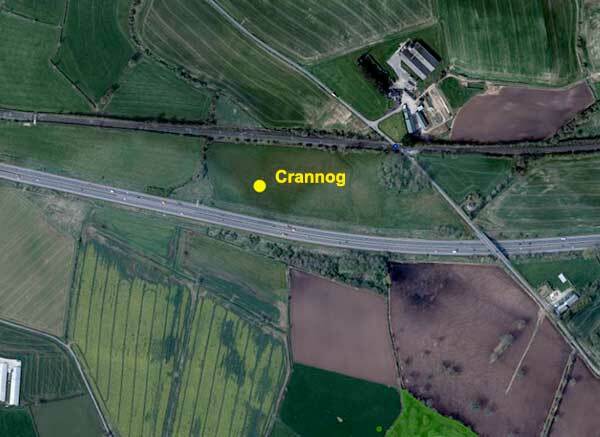 Our local crannog was in the townland of Drumbane and on land now bordered by the motorway, the railway and the Drumbane Road. That area was once so liable to flooding that it was effectively a lake. In fact the western limit of the original demesne was determined by that lake. Virtually all trace of the crannog has disappeared though the lie of the land indicates the edge of the former lake. The henge is a different matter and is visible on land behind the Presbyterian churches and surrounded by the housing development at Claremont. 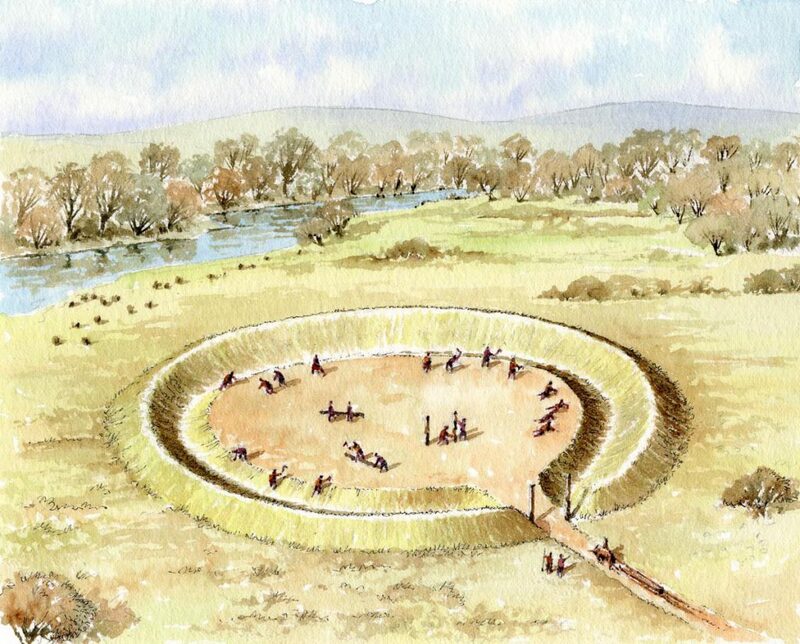 Henges are from the Neolithic period and Early Bronze Age and were large ceremonial circular earthworks. They are thought to have been meeting places where a tribe congregated at certain times of year for rituals or other gatherings. 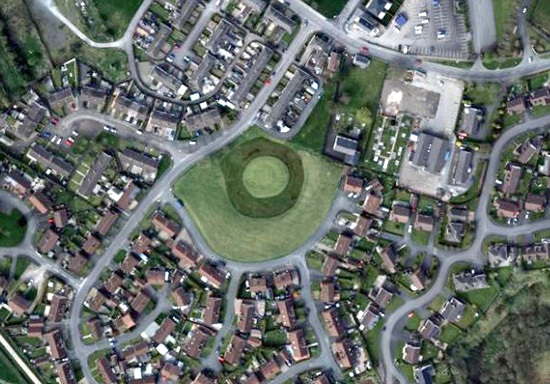 This circular mound in Moira is reasonably large being thirty-six metres in diameter. Some limited archaeological excavations of the outer ditch in 1977 identified two distinct historical periods. The upper layer showed late medieval activity but digging deeper the archaeologists found pottery dating from around 500-1100 AD and showing there may have been an underground chamber. However, the structure of the mound surrounded by a ditch almost certainly dates it to around five thousand years ago.